Leonie is a landscape ecologist and ecological historian working with the Landscape Ecology and Conservation Group in the Centre for Spatial Environmental Research and the Environmental Decisions Group in the School of Biological Sciences. 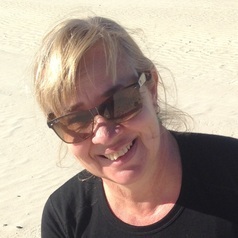 Her current research applies spatial prioritization techniques to optimize restoration of endangered Brigalow ecosystems in Queensland to improve conservation outcomes for native fauna. Between 2008 and 2011, Leonie was an ARC post-doctoral fellow researching the distribution and abundance of koalas in south-west Queensland. Research findings include an 80% decline in estimated koala numbers, with the western boundary of the koala’s distribution closely reflecting rainfall over a prolonged drought lasting from 2001-2009. Koalas have contracted to primary riparian habitat. These findings contributed to the recent listing of the koala as vulnerable in Queensland, NSW and the ACT by the Threatened Species Committee of the Australian government. Leonie completed her PhD in 2007 on the drivers and patterns of vegetation change in the Brigalow Belt of southern Queensland since European settlement. Through 2008, she worked mainly with researchers at UQ and CSIRO to develop a Bayesian Belief Network to predict landscape susceptibility to the spread of an invasive weed, parkinsonia, in central Queensland. Other research projects included collaboration with colleagues to map vegetation change in the Brigalow Belt from air photos and satellite images, and contributions to the Queensland Historical Atlas and the SAGE Encyclopedia of Geography. Leonie has a long-term interest in natural history and ecological change, stemming from her childhood in Kenya and Tanzania.